As part of our senior thesis, New Media students were given the opportunity to collaborate on a project with the Rock & Roll Hall of Fame. The brief was to find a way to attract more visitors to the museum, and to create/maintain connections with visitors after their visit. 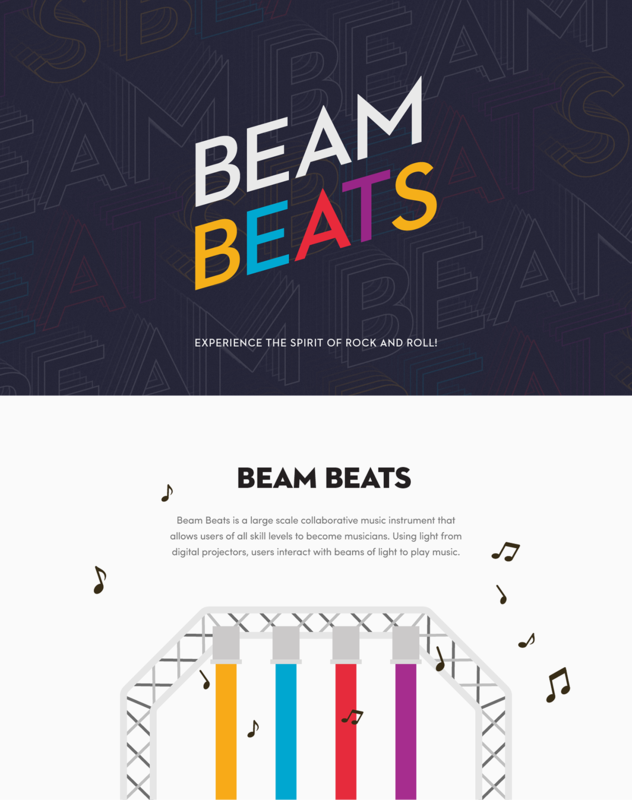 Our solution is Beam Beats, a life-size, collaborative musical instrument that allows users of all skill levels and abilities to become musicians. Our Goal was to allow visitors to experience the spirit of rock & roll through reckless creativity, by experimenting and creating their own music in the rock hall. In addition, visitors receive a visualization of their music, a one of-a-kind, unique keepsake.